Have you ever had to deal with a noisy cubicle? I’m sure you have if you’re job requires you to work in an open plan office filled with cubicles. There are many cubicle noise solutions you can try that will undoubtedly help you to achieve a level of cubicle noise reduction. Some of the best cubicle noise solutions will make a world of difference in obtaining some cubicle noise reduction. You can achieve this by sealing cracks and gaps in your cubicle. Installing a door to your cubicle will help in noise reduction. Check out the list below of 20 ways to soundproof a cubicle. 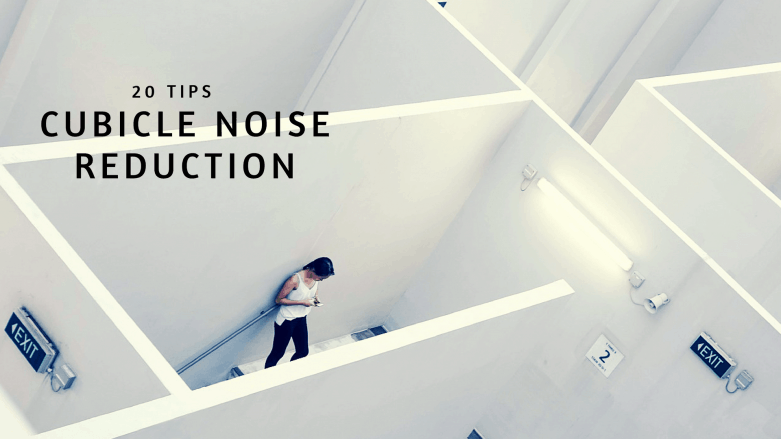 I’m confident you will find a way to make your workspace quieter, and you’ll find an adequate way to achieve cubicle noise reduction. 6. Do Sound Absorbing Drapes Work for Cubicle Noise Reduction? 16. Offer dedicated peaceful spaces. 17. Provide loud spaces, as well. 20. Create a System Allowing Others to Understand you Require Silence. A hard flooring surface like hardwood floors or ceramic tiles could create chaos within a working setup. The reason for this chaotic environment is the constant echoing noise these types of floors produce, especially when someone is walking on them wearing heels. Two options will undoubtedly help regarding making your cubicle a quieter place to work. Carpeting – Installing carpet in the office will help to reduce the noise significantly. Make sure to not only place a rug in your cubicle, but the carpet should also be installed throughout the office since it’s the foot traffic that makes the noise. If carpet installation proves to be too costly, you can just lay some carpet runners throughout the hallways. Hallways and between cubicles is where the majority of the traffic noise comes from. Commercial Grade vinyl flooring – I see many companies around my city installing commercial grade vinyl flooring that looks like wood floors. This is not the same old vinyl floor your grandparents had in their homes back in the 70s; it’s actually entirely different. Some of these types of flooring are good for up to 30 years, but I’m sure it would be a limited warranty because I can’t imagine vinyl flooring lasting that long in a high foot traffic environment. Make sure when you’re in the process of selecting the type of vinyl floors to look at the IIC rating. IIC stands for Impact Insulation Class, and It has to do with the amount and type of rubber underlayment under the vinyl. Tell the salesperson that the primary reason you’re choosing vinyl flooring is for noise reduction in a high foot traffic office environment. If you have a business with an open floor plan and require many cubicles, then you should think about investing in acoustic panels. They are the same kind of panels music recording studios use to combat background noise and echo. You can buy a pack on Amazon by clicking here. They certainly won’t entirely get rid of the noise but could offer a bit of a break and letting you focus on doing your job. You can install acoustic panels a couple of ways. The first example I will give you are hanging acoustic panels. These types of panels hang directly from the ceiling creating a much larger divider between cubicles and almost acts like a wall. They are also designed to subdue the echo in the workplace and will undoubtedly aid to remove all sorts of unwanted noise. You might not want to install hanging panels, however, installing regular acoustic panels are something that you could quickly do the DIY way, and they are not that pricey either. One type of acoustic panel is a sponge-like block of material that someone could easily attach to the walls of the office cubicle. They are soft and as a result, absorb the noise and make it difficult for the sound to jump off of them like it would of any hard surface area. Many types of acoustic panels are unbelievably efficient in combatting disruptive noise in the work environment; however, not all wall panels are cosmetically pleasing. The good news is there are some even more contemporary design options readily available today. Apply furniture in and around the office and cubicles that are softer in the material. Couches and lounge chairs, wall partitions, and non-metal filing cabinets can all help in absorbing all sorts of noise in an open space office environment. Select furniture for the office like high backed couches and enclosed booths. Furniture like this will also help a great deal concerning unwanted sound. All in all, try to avoid office furniture with hard and jagged shapes because they will unquestionably encourage echo in your space. At least with the softer types of furnishing, there will be much less noise bouncing around from one hard area to another. High Back Chairs For Office Noise Reduction / Go to Strongproject.com for more information. 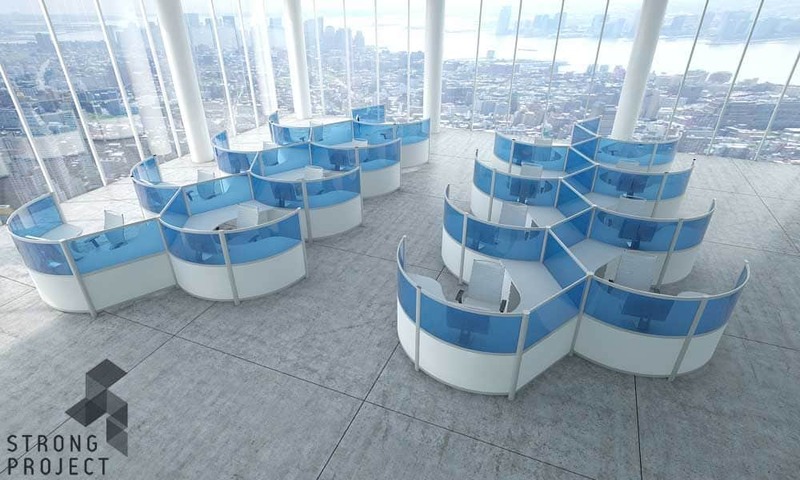 Sound barriers for office cubicles might be an impossible task. One thing you can do to improve this is to heighten the dividers between cubicles. It would certainly stand to reason that the higher the divider, the better noise insulation it would provide. You might be able to add on an extension on the current noisy cubicle’s dividers. But this might not always be the case. If you’re unable to extend your current setup, then you might be able to buy some room partition dividers. Partition dividers might work without making your office look like a botch job from the building contractors. Another option would be to install some aluminum partitions. There are types of aluminum partitions that are specially made to reduce noise in office environments, especially in noisy cubicles. There is a kicker; however, these types of barriers can become costly if you have dozens or cubicles. If that’s the case, then keep reading down the list. I’m sure you will be able to find a few combinations that will work at giving you some cubicle noise solutions. Some of these tips on the list, like aluminum partitions, are more for when an office is in the building stages and not for an employee struggling with cubicle noise problems. High Cubicle Dividers For Noise Reduction / Check out Strongproject.com for more Info. Once all the sound deadening insulation has been added you will need to make sure there’s no cracks or holes inside the cubicle walls. If you leave a hole untouched, you are making your entire soundproofing endeavor completely useless; Because the noise will slip right through the cracks. There are many ways you can seal holes and cracks to make your cubicle a bit more soundproof. You can use weather stripping or pieces of cut up acoustic panels. Acoustic foam panels are excellent for these types of simple soundproofing projects. Just cut-up a piece and shove it in really snug into the holes or cracks. The foam will quickly expand as it fills the gap. Don’t forget the very bottom of the cubicle. There will most likely be a small gap between the floor and cubicle. You can use long pieces of acoustic panels but what I would probably use are weather strips. The beautiful thing about weatherstrips is that the diameter and length will be ideal to fill in the bottom gap. If the cracks aren’t visible, you could use a product called green glue. Green glue is a unique compound made explicitly for sound isolation. If the holes are under your desk, then green glue would be my choice. If the holes are in sight, then you should use something that is more appealing with the decor. Watch the video below for useful information about how Green Glue works and also the best ways to apply the product. Occasionally it can be difficult or pricey to resolve the cubicle noise problem by lengthening your cubicle walls or dividers. The ceiling can be high, and this wouldn’t be your responsibilities. It would surely take a great deal of effort as well as time to contact your Human Resources department (depending on the size of the business you work for)regarding it. And it is never sure that it will settle after you did make the request. Nonetheless, there is something that you can do to assist this noise trouble gets resolved; and also add a little bit to the appearance of your personal individual workspace. There is something that is called soundproof curtains. These curtains are thick with a layer of soundproofing material product within. The unique material would absorb some of the irritating sounds in its fibers. Additionally, the soundproof curtains are of soft textiles. It would certainly make it hard for the noise to leap around as well as bounce off of them as it absorbs the echo. You can choose to hang these types of curtains directly from the ceiling and also on the flooring. The curtains could also overlap a little bit with the work area wall surfaces. It is up to your personal preference regarding styling. You can find some excellent soundproof wall-divider curtains (Amazon Link) and for a very sensible cost. Soundproof Curtains Is capable of absorbing noise into its fibres. You begin your cubicle soundproofing project by installing acoustic panels on the walls since it’s one of the cheaper options. You might even replace the floors, but one thing people do forget is the ceiling. Ceiling tiles can efficiently reflect all types of noise. They also do an awful job as a sound absorber since the ceiling tiles of today are quite harder than in the past. You can invest in a ceiling upgrade by replacing your existing ceiling tiles with acoustic tiles. Acoustic ceiling tiles will do an excellent job at absorbing noise compared to conventional tiles where the sound would easily bounce off creating an echo. If the ceiling above your cubicle is solid then replacing it with acoustic tiles might not be possible. Instead, you can do to your ceiling the same thing you did with your walls by attaching sound absorbing panels. Some acoustic panels come with an adhesive side which would make it a breeze to stick it to the ceiling. If there’s no sticky side, then attach some double sided tape, and you’ll have this done in no time. The video bellow from Trademark Soundproofing Inc explains how and why to install acoustic ceiling tiles. If you’re the employer and have dozens of cubicles with employees that primarily do the same type of work, then this tip is probably not for you. However, if you have different teams of employees doing a different task, then there might be a task that is much louder than others. Have all the louder cubicles grouped and leave the silent ones in another section of the office. You can even place a sound absorbing divider in-between the two or several groups. If the noisy cubicles are on the phone, they will all try their best to focus on their phone call. They will also block out everything else, it’s a different story, however, if you’re an employee that requires strict concentration. One other tip regarding the office layout is placing the noisy machines in another room if possible. 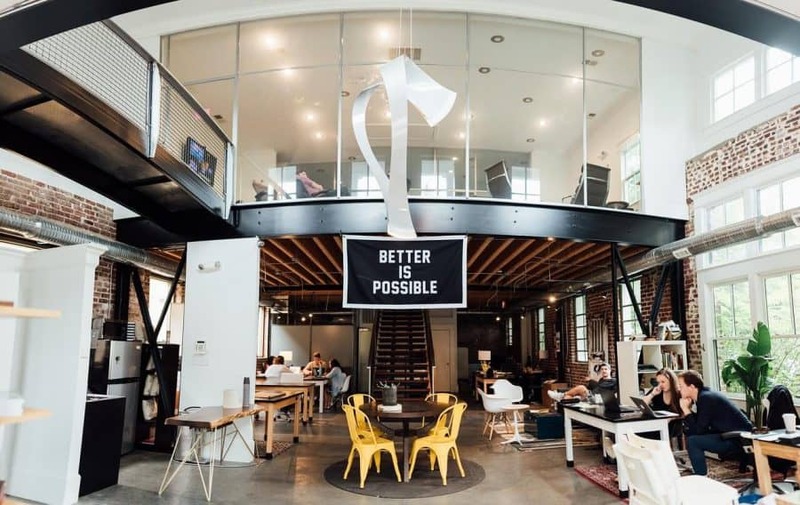 If there is only one room to work with, then you should have all the noisy equipment like printers and copiers on the noisy cubicle side of the office. If your cubicle doesn’t have a privacy door, you should look into this option. But if the cubicle has the dimensions that would allow for a door. There are workplace supply merchants that would have either a swinging or sliding door that would be able to attach in hopes of curing a noisy cubicle. Of course, a cubicle door could help shut out the noise and also send a signal to your coworkers that you don’t intend to be disturbed. Click here for information about cubicle privacy by instaling a cubicle door. If your cubicle has a window, then Include insulation to any workstation windows. Cubicle windows are terrific for illuminating your workspace, but noise could take a trip via home window glass. Treating the windows with a slim layer of plastic could aid block out some noise while still allowing light. Try finding home window insulation film at your local equipment store or online. There are certain plants you can have in and around your cubicle that will do a better job at absorbing sound than others. Some of the best plants you can have in your office to combat noise are Peace Lily, Rubber Plants, and Weeping Figs. Peace Lily’s leaves are glossy and wide enough to absorb sound waves adequately. This plant should be indoor and away from the cold and not in direct sunlight. So it’s best not to have it by your window if you’re lucky enough to be beside one. Rubber Plants have very wide; thick emerald green leaves that does an excellent job of blocking noise. Like the Peace Lily, you should not have this plant in direct sunlight, but it does thrive in a bright environment. Make sure to place the Rubber Plant in a well-draining and airy potting soil. The Weeping Fig is a plant that has broad and pointy leaves (Usually Patterned). They also have arching branches which efficiently subdue sound. In addition to its large, dense leaves, the weeping fig is remarkably good at purifying the air. It can purify pollutants like xylene, toluene, and formaldehyde. Favoring a somewhat shaded, sunny spot, weeping figs prefer not to be moved around as their delicate glossy leaves would most likely fall to the ground. If you’re the employer and you’ve been struggling with noise problems withing office cubicles you might need to have all the employees meet to discuss the issue. Perhaps some of the noise issues in the office can be resolved by instructing and better educating the employees regarding office etiquette. The very first thing I would mention is for a “no talking policy” and only allow people to whisper in the cubicle portion of the office. Many places have this rule, and it does work quite well and quickly becomes second nature to everyone. Always use headphones when listening to audio. There’s no need to go into details with this tip right? Have a room setup that is separate from the cubicle area as the conference call room. You could also use this room if you need to make a call using a speakerphone. No chatting over cubicles. If you’re trying to reduce cubicle noise then shouldn’t this be like the number one “NO-NO”? Have your staff learn sign language and enforce everyone to use this to talk amongst one another. Of course, I’m kidding about this one, but I did hear this one being mentioned at a conference a while back. I found it a bit on the crazy side, but whatever floats your boat I guess. We can all use technology for a multitude of things. Did you know that you can also use tech to help with noise reduction and soundproofing? Noise Canceling Headphone is a type of headphones that will essentially isolate you from the background noise using a multitude of frequencies. It’s not “soundproof,” but it does a great job in noise reduction. The headphones which reduce all background, ambient noises with what is referred to as noise control. By catching only your voice and disregarding ambient background noises. This system will drastically enhance how the person on the other end of the phone’s ability to clearly hear you and vis-versa. Click the video below to find out everything you need to know about noise-canceling headphones. Among the common grievances from office workers that intend to soundproof their cubicle, is the noise from colleagues that are on the phone. It may be worth updating your phone system to utilize ones with headsets and also microphones to ensure that they do not need to use the standard handheld phone system, which could cause louder discussions. Although these devices are mostly utilized to aid in individuals’ sleeping throughout the night, you can use them for soundproofing objectives of your work area. You may ask yourself how a white noise machine work. Generally, this equipment will indeed not kill the background noise. You will still have the ability to hear it, yet you won’t find it as distracting as you did before. White noise machines release noises of neutral frequencies; As well as a means to cover the background noise by having your subconscious concentrate on their non-disturbing sound. Consequently, you will have the ability to productively as well as entirely focus on your task; rather than on the noise coming from the outside of your cubicle. White noise devices are not that expensive. Click here for one of the highest praised white noise machines from Amazon. Businesses can use a vacant office or an unused meeting room and transform it into a “Quiet Area”. Staff members can go to the quiet area aiming to focus on vital jobs. 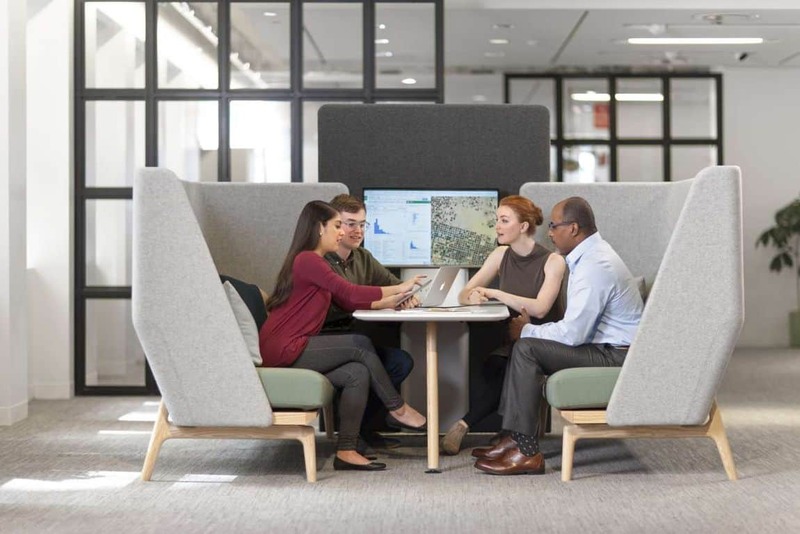 These rooms are marked for non-group work and can give a place for workers to be a lot more efficient than at a common work desk or in their noisy cubicle. On the other hand, organizations could additionally mark areas around the office that encourage interaction and discussion. Lunch areas, recreation room or perhaps phone rooms can help communicate to staff members that when working at their desks, those are the moments to be quieter. Yet if you intend to take part in a discussion, you’ll have areas that are dedicated for that type of interaction. You can also Provide tiny sections containing telephones. These sections would encourage employees making phone calls without disrupting other workers trying to concentrate in a noisy cubicle. There’s also an acoustic telephone booth that could be included in an office to be made use of for private telephone calls. This does not have to be an all-or-nothing suggestion. If open layout were an imperfect solution, so is a full-on reversion to an all-private room. 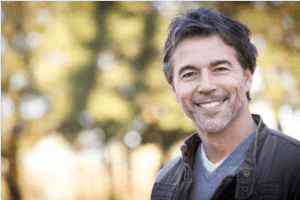 If you have you want a much more personal area to obtain some work done; it may be time to begin a discussion with your employer regarding discovering a middle ground. A few of one of the most effective and efficient works environments are ones that offer more than one type of work area. Open settings when synergy is called for, and also personal workplaces and boardroom. The employees can use these places to disappear if they need to involve themselves in a job that has a problematic target date. If your employer is unable to make the necessary changes for reasons of cost then there are things you can do; on your own, to both limits, your contribution to the cubicle noise level as well as to offer your own a heightened feeling of privacy for when you execute a sensitive job. If, as an example, you discover on your own making prolonged or disruptive telephone call for job objectives from your cubicle in an open layout, consider moving somewhere else. Yes, it could be valuable to have accessibility to your workstation while on the phone with a client; but maybe in some small way, if you’re not part of the solution, you’re probably a part of the problem. A respectful visual signal could deter coworkers from popping in to greet you. Visual signals might also discourage loud conversations right outside your door. If you have a cubicle door or screen, shutting it may be enough to allow others know you need quiet. You could also install an indicator by your workstation entry that states “Please Do Not Disturb” or something comparable. A small whiteboard can be a terrific means to leave particular messages about your availability. 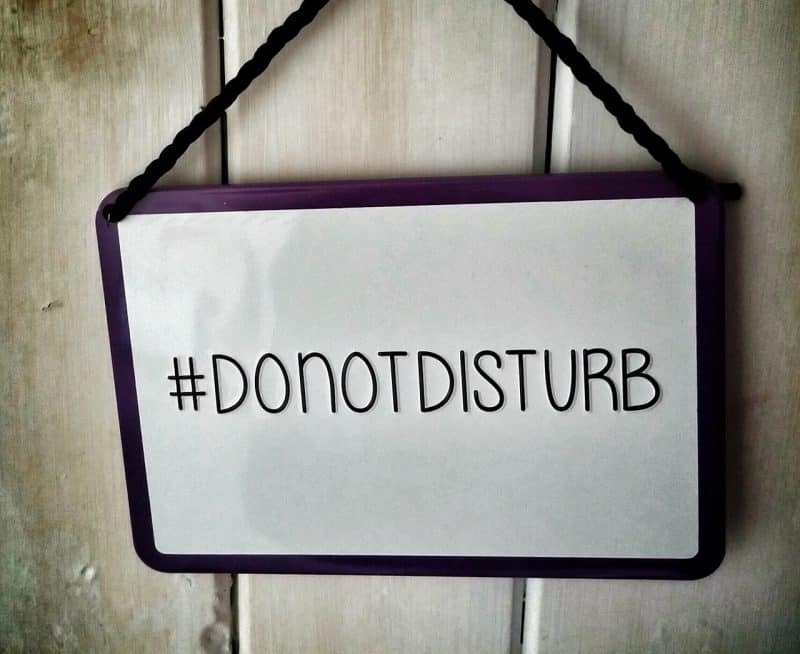 Add a DO NOT DISTURB sign on your cubicle door. I hope you found this list of 20 cubicle noise reduction of great help to you and that you were able to discover at least a couple of cubicle noise solution. Please let me know if you think of any other ideas to make a cubicle quieter. I will make sure to update our list with the best and most current information.